A few weeks ago I was kindly sent a new range of brushes from L.A.B.2*. Now I've never tried this brand before; being so obsessed with my Zoeva set has meant I've barely tried another brush since I purchased them. But hey... 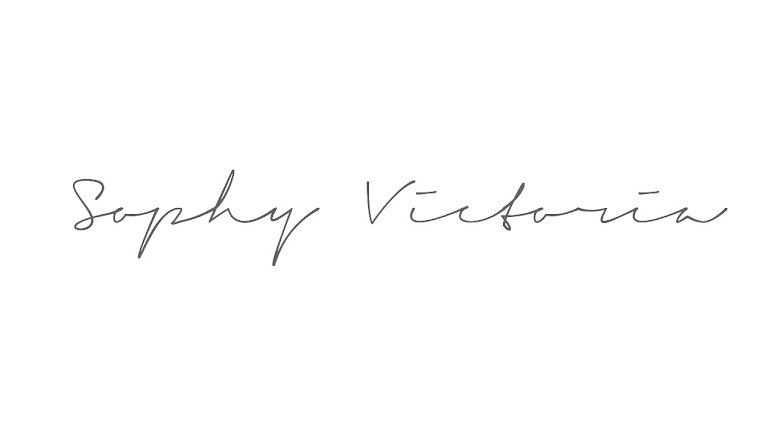 I always welcome a little change and I figured it was time to freshen things up. So from what I can tell L.A.B.2 are an American based company. 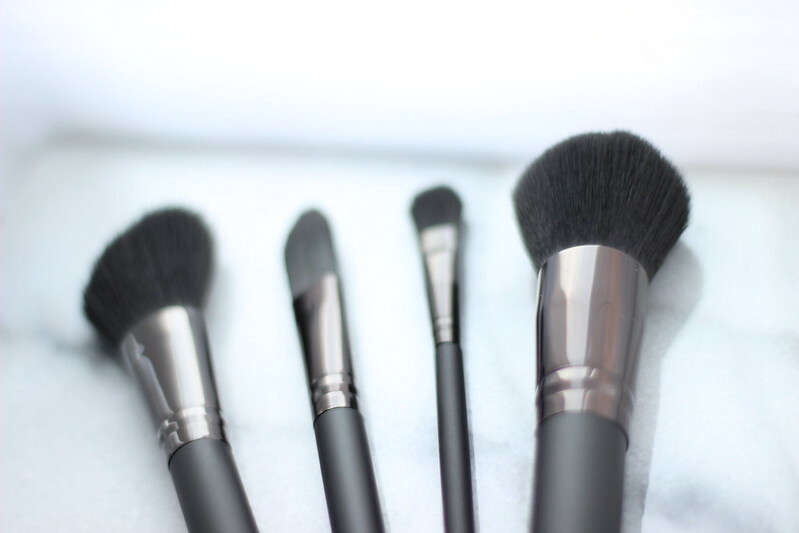 Their brushes are hugely affordable which I think is so important nowadays; not everyone can afford to spend big money on brushes and why should we be expected to? They sent me their "I'm Turning Pro" brush set which includes four different brushes; a foundation brush, a contour brush, an eyeshadow brush and also a buffing brush. So what did I think of them? FIRST IMPRESSIONS.... Were good; the set itself is a fab "starter pack" in my opinion and the packaging is great; professional and sleek looking. Upon opening the pack I continued to be impressed; the handles felt weighty but not too heavy and the brush heads themselves were soft yet sturdy. Right so me being the idiot that I am I used this as a blusher brush... And guess what? It was too dense. No surprises there as I wasn't really using it for it's intended purpose! I think this would be great as a contour brush as the angle lends itself well to the application of powdered products into the under cheek bone area. I think it could definitely double up as a highlighter brush too. I actually used this for the under eye area to blend out my concealer. I was impressed. It did a good job at blending out my Collection Lasting Perfection seamlessly. I'm not a fan of the flat foundation brushes so I can't imagine myself using this all over my face but concealer wise it did good! I tried this with my Estee Lauder Double Wear Light foundation which perhaps wasn't the best test run product to use it with! The Double Wear craves a slightly denser brush and this is a little on the lighter site. Kind of in between a stippling brush and a foundation brush. I think this would be great used to apply a BB cream or something similar like the BareMinerals Gel Foundation. I think it would also be good at blending out liquid bronzer. This has got to be my favourite brush from the collection. It's just so fluffy! I used it to apply a few colours from my Naked 1 palette and I managed to create a gorgeous natural smokey eye. The shape of the brush means it's fantastic at blending out colour and the small size makes it easy to use when contouring with darker shades. My new favourite eyeshadow brush! Now I've only used this set once for a summer work do makeup look so I appreciate a few more uses are necessary before I make any final decisions! However overall, and for the price point (the "I'm Turning Pro" set is £18.99 from Superdrug) I'm pretty impressed. I've acquired myself a new holy grail eyeshadow brush (something that's worth more than £19 to me alone!) And I now have a decent set of brushes I can use with BB creams, lighter foundations, highlighters and liquid bronzers. 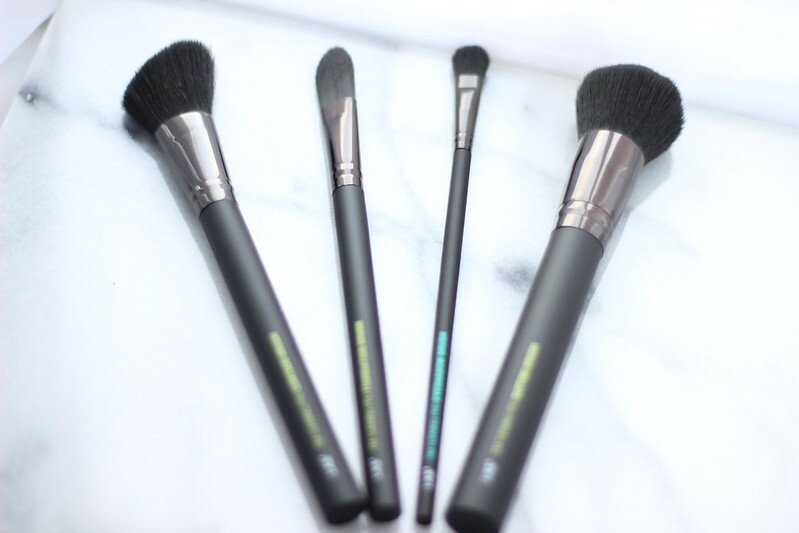 I will definitely be test driving these guys more over the next few weeks and will report back if any of the other brushes really stand out for me! 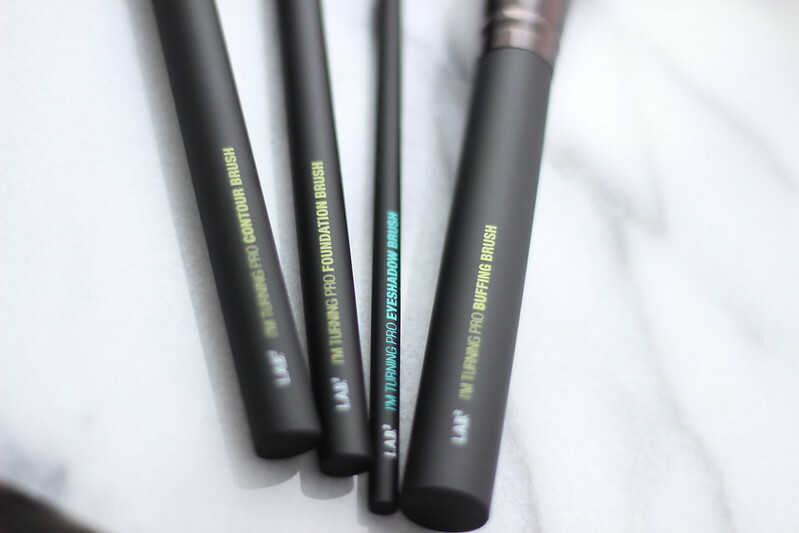 Have you guys tried any of the L.A.B.2 brushes? If so let me know what you think!